Are you making the most of your National Elf Service? Home » Posts » Other health conditions » Are you making the most of your National Elf Service? It’s not all about the Mental Elf you know. There are lots of other elves who spend every waking hour scurrying around to find reliable evidence to help you. Written by John Northfield who has worked as a Service and Project Manager in learning disabilities for over 20 years, this site brings together the latest evidence from journals, websites and databases. It’s aimed at health and social care professionals with an interest in learning disabilities and covers a broad range fo topics including challenging behaviour, health, mental health, Down syndrome, autism, quality of life and family carers. The Learning Disabilities Elf website started life in March 2011 as the WELD (Working with Evidence about Learning Disabilities) Blog and now has over 400 published posts. 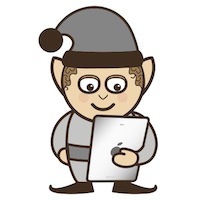 You can follow the Learning Disabilities Elf on Twitter at @WELDBlog or on Facebook. Written by Sarah Chapman and Sarah Holloway, this site is just what you need to keep up-to-date with all of the important and reliable information related to healthy lifestyle. They cover exercise and physical activity, diet and nutrition, alcohol, smoking and obesity. There’s loads of stuff on the Lifestyle Elf relevant to mental health and wellbeing, so it’s well worth checking out. 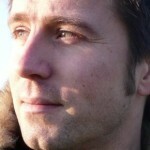 The Lifestyle Elf launched in March 2012 and now has over 150 posts. A new blog is published every Monday, Wednesday and Friday and you can follow them on Twitter at @LifestyleElf or on Facebook. 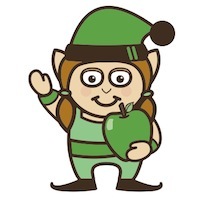 Written by Leah Tomlin (Assistant Head of Henleaze Junior School in Bristol), the Education Elf is a bit of a departure from the norm. It’s aimed at teachers, school leaders, governors, educational policy makers, researchers, parents or students. Essentially anyone with an interest in children and their development from the age of 0 to 19 years. The blog only started in October 2012, so there’s not much content on it just yet, but it’s bound to be of interest to many health and social care professionals, particularly those who work with children and young people. 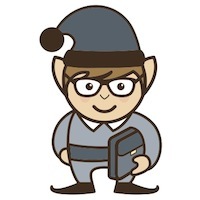 You can follow the Education Elf on Twitter at @EducationElf and on Facebook. Written by Derek Richards (Director of the Centre for Evidence-Based Dentistry and Editor of the Evidence-Based Dentistry journal), the Dental Elf highlights evidence-based publications relevant to dental practice in the UK and around the world. He’s been publishing 5 weekly blogs since June 2011, so there are now over 400 evidence summaries on the website covering caries, dental implants, endodontics, oral and maxillofacial surgery, orthodontics, periodontal disease and restorative dentistry. 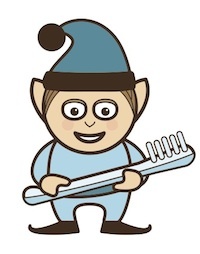 You can follow the Dental Elf on Twitter at @TheDentalElf and on Facebook. Written by Douglas Badenoch from Minervation, the Diabetes Elf highlights new and updated guidance, systematic reviews and key clinical trials that are relevant to diabetes care. There are over 150 posts on the blog covering type 1 diabetes, type 2 diabetes, type 2 on insulin, type 2 on oral agents, gestational diabetes, complications, diet and exercise. 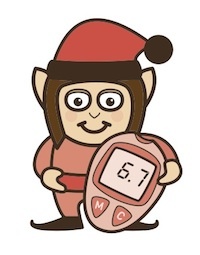 You can follow the Diabetes Elf on Twitter at @Diabetes_Elf and on Facebook. Written by Tracey Howe (Professor of Rehabilitation Sciences at Glasgow Caledonian University) and colleagues, the MSK Elf brings you interesting and reliable research and guidance relevant for musculoskeletal conditions. The site launched in August last year and recent past the 50 blogs mark. Topics covered include exercise, knee, low back pain, osteoarthritis, pain, physiotherapy, psychosocial treatment, rheumatoid arthritis, and the 2012 Olympics. 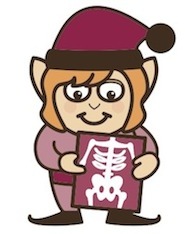 You can follow the Musculoskeletal Elf on Twitter at @MSK_Elf and on Facebook. Written by Caroline De Brun, the soon to be launched Commissioning Elf website will be aimed at health and social care professionals working in commissioning and management roles. The blog will cover commissioning, improvement, innovation and leadership. You will be able to follow the cute little curly-haired fella with his permanently attached tablet computer (you know the sort) on Twitter, Facebook and LinkedIn. Andre. Very impressed with all Elf work… Noticed that Diabetes_Elf was on vacation. When is he returning? Thx. Thanks for that (and for Linking-In). Glad to hear that you’re finding the elf sites useful. 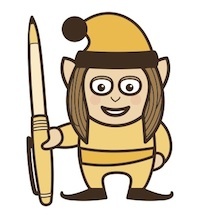 Douglas who writes the Diabetes Elf is going to begin blogging again soon.